Our librarian Deirdre was busy last week. 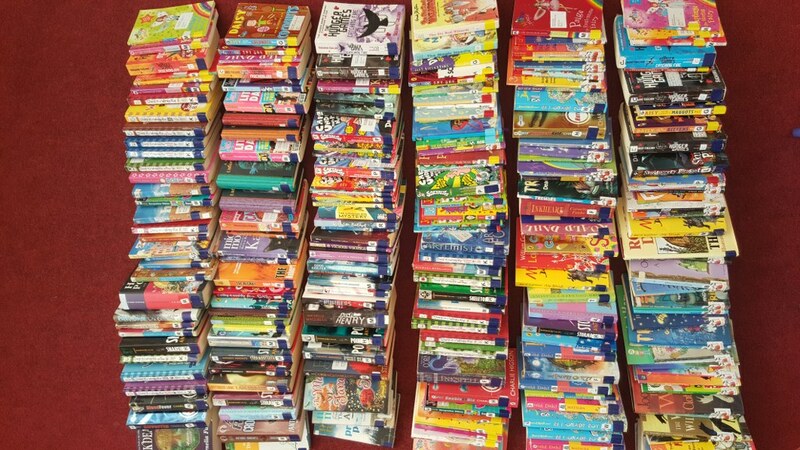 She solicited a donation of over 200 top library book titles for pupils in senior classes, including such titles as Harry Potter, Skulduggery Pleasant, Diary of a Wimpy Kid, Artemis Fowl, The Hunger Games and many others. The total cost of the books if purchased new would be in excess of €2,000. As only she would do, Deirdre arrived to school with the books already indexed. They will be available to pupils after the Hallowe’en break once they have been catalogued on the library computer. The Hallowe’en library competition runs until next Thursday and pupils can get entry forms from the school library.